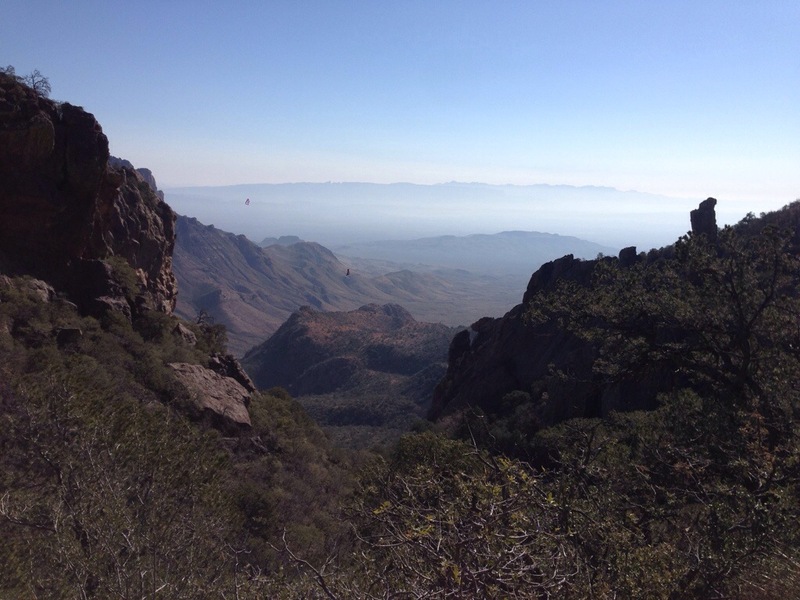 On February 17th-21st I went to Big Bend National Park about 8 hours from home. This was my last shakedown hike before starting the PCT. 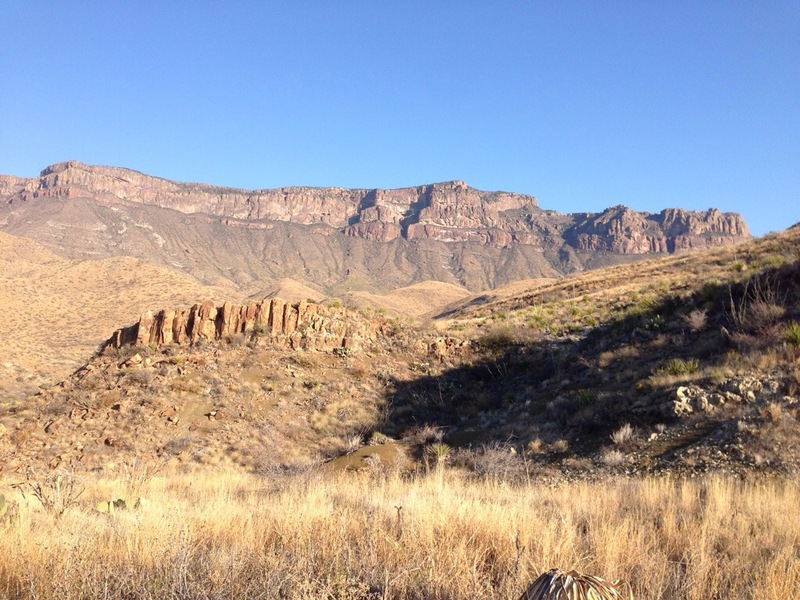 I did a 30-mile “outer mountain loop” desert hike which went up and out of the basin to the desert floor, across the desert, and then back up and into the basin ranging from 5000 up to 7500 down to 4200 feet. 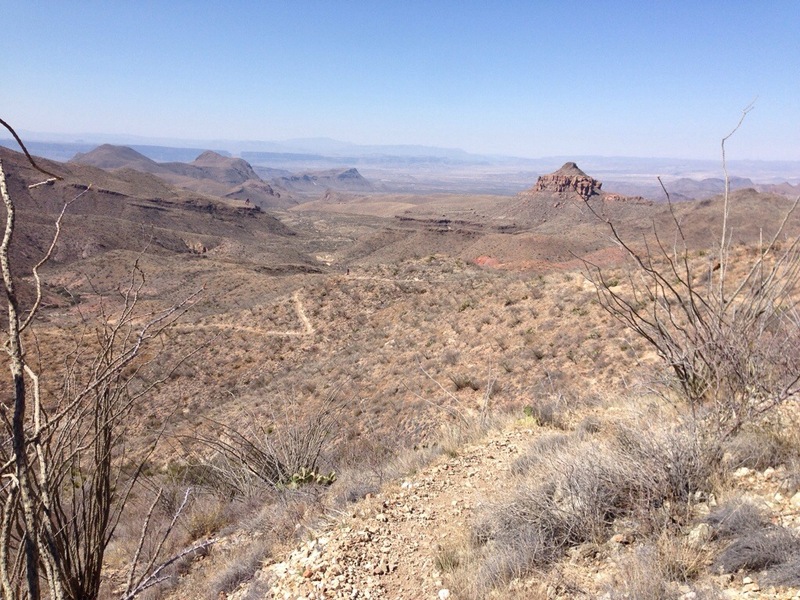 View down into Boot Canyon trail. Heading down to the desert. During it I really began to understand water issues having cached 2 gallons ahead of time which became essential as I was down to 1 liter when I got to the cache and was getting worried. There were no natural springs during this hike and the NPS Rangers required my water caching. At the cache I filled up all my containers and then cameled the remaining 1/3 gallon. Whew did I need it! Down in desert doing traverse from Dodson to Blue Creek. I also appreciated having both topo maps and smartphone w/ Gaia GPS to help pinpoint my location and distance to my next campsite/water location. 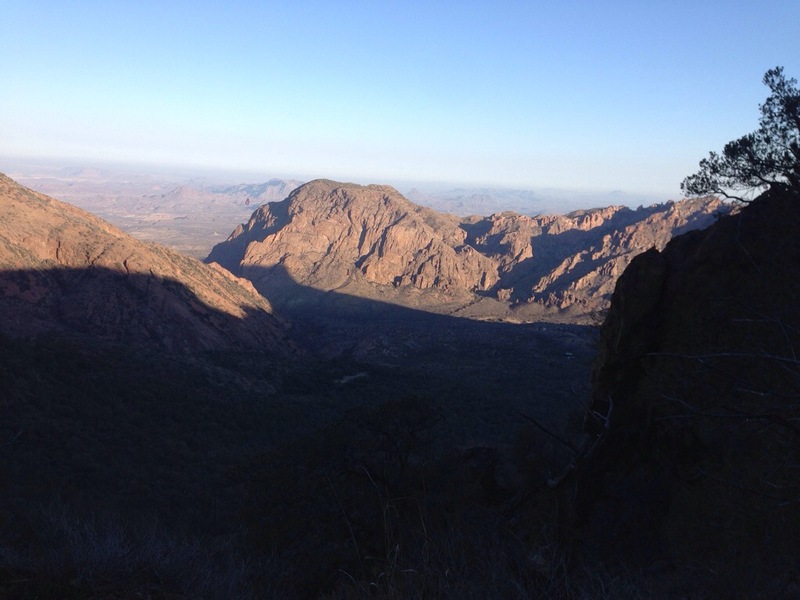 The trail was very rocky and uneven and I hope the PCT is better – gotta have my hiking poles. My only item I’ve decided to change is my sleeping pad. Prior to this I was using a ThermoRest Z Lite pad and was uncomfortable (my old bones and I’m a side sleeper). On this trip I brought a Klymit Inertia X-Frame air mattress, but the gaps in it and that I’m short made it not comfortable, so I’ve now ordered a short (4′) Gossamer air mattress. 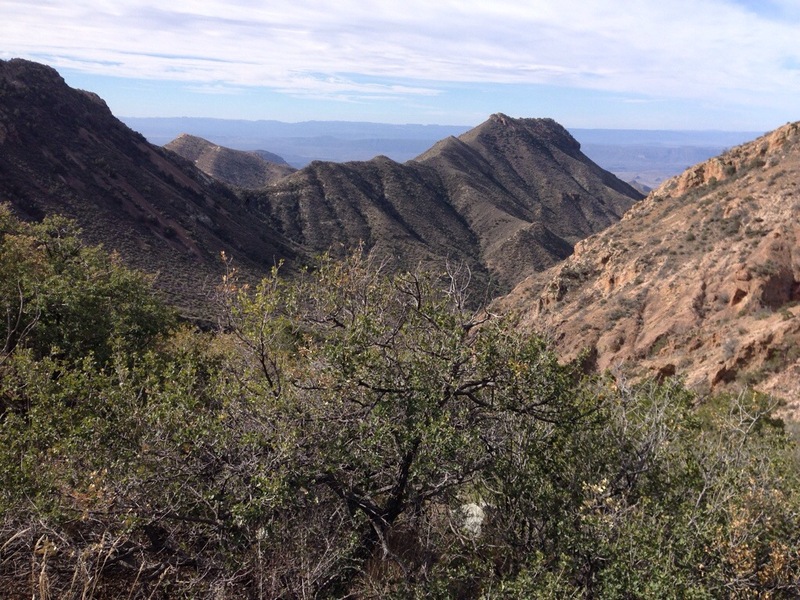 I found that although I have a fear of heights that I was able to traverse a trail positioned on the side of a steep slope (45 degrees with hundred of feet above and below). During desert traverse on steep side of hill with trail in the distance. I gotta say that being out there among the massive buttes and mesas makes you feel really really small and insignificant! During climb out of desert on Blue Creek trail heading to Laguna Meadows trail in the Basin.